A cute pom pom beanie in two colours, the Two-Tone Toque works up super quickly, perfect for last minute gifting. Bulky-weight Álafoss Lopi and a big hook make it soft and chunky. 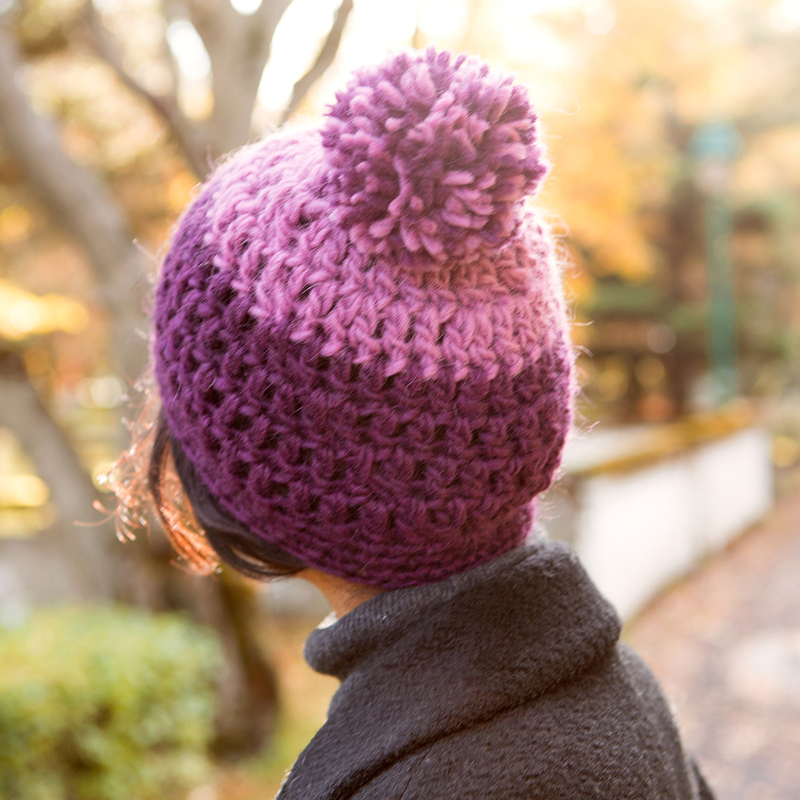 The beanie is worked top-down in the round using basic stitches. A pom pom maker is not required.